The GTC Berlinetta was introduced at the Geneva Motor Show in March 1966; designed by Pininfarina. The cars were more like their 275 counterparts than the 330 GT 2+2. They shared the short wheelbase of the 275 as well as its independent rear suspension. 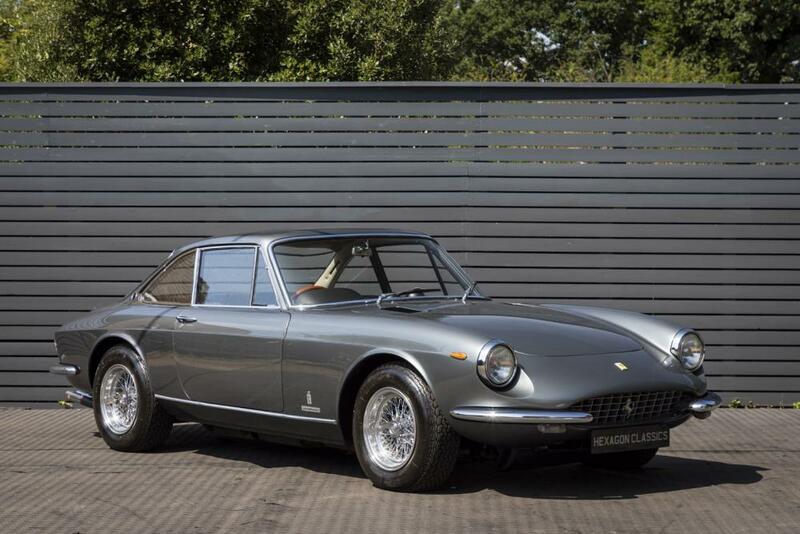 If there was a sixties Ferrari that only Ferrari people knew about it was the 330 GTC! Maybe it was the stunning looks of this Pininfarina design or the brakes, steering, rear transaxle and fully independent suspension of a 275 GTB. Launched in 1968 the design of the 365 GTC was basically similar to that of the last 330 GTC’s built, the major difference being that the engine bay air inlets were now on the bonnet and no longer on the flanks. There were more significant changes to the refined mechanics: the new, large V12 engine offered more generous torque at medium revs, greater flexibility and livelier acceleration. Approximately 168 were built of which only 26 were right hand drive! Our ultra-rare RHD car is finished in Grigio with Nero hide and was supplied new in Milan. It then went through the US and Canada before coming to the UK in 1988 and sold to a private collector. He had the car fully restored by marque specialist Colin Clarke prior to it going in to long term storage. In 2004 it was sold to Andrew Gordon Seward who had the car recommissioned by Ferrari expert Neil Corns. The car then went on to win the Paul Baber Trophy in 2005 at the Ferrari Owners’ Club Concours at Boughton House. The car has since been meticulously maintained and benefited from an interior re-trim and the fitment of air conditioning in period.